From cocktail parties to family gatherings, the Christmas holidays offer plenty of occasions to dress to the nines. If you’re having some anxiety over what to wear to holiday events, relax and take a couple tips on how to feel confident in winter-wonderful attire. The first rule of fashion is comfort. Every designer and stylist knows that someone who feels comfortable in an outfit will exude the confidence necessary to make the look a success. This rule applies to everyday style and holiday outfits alike. Fortunately, fall and winter fashions this year have a wide selection of warm and comfortable offerings to help everyone look their best. 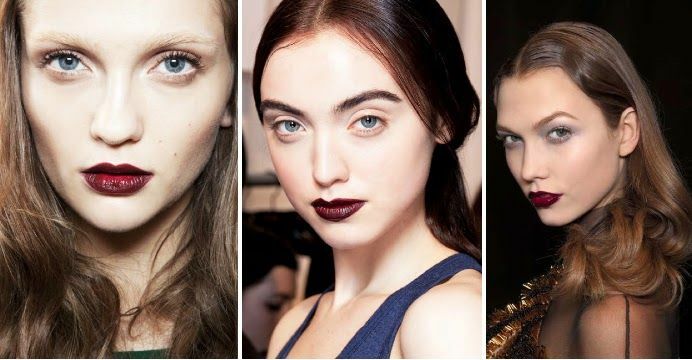 This winter, deep burgundies feature at the top of the beauty trend and what-to-wear list. The color of cranberries and red wine has seldom been more popular and more season-appropriate. Every wardrobe item imaginable is available in this trendy color, from pea coats and winter boots to cocktail dresses and purses. Lucky for those attending holiday gatherings, this color simply sings “happy holidays,” and a woman decked out in holiday reds will look great as her rosy cheeks reflect the holiday cheer her outfit exudes. Bodycon, long-sleeved tops in deep burgundy, like this 3.1 Phillip Lim shadow top looks great paired with black silk pants. Add a little holiday sparkle with a stack of metal bangles and a winter-inspired necklace; perhaps featuring latticed metalwork, rhinestones or other sparkly white jewels. No holiday outfit is complete without a great pair of shoes, so add a pair of metallic pumps or black patent-leather stacked heels to complete the look. A peplum top paired with a short or knee-length skirt and opaque tights is sure to turn heads this holiday season. Again, burgundy is a top color choice, but women feeling a little bit bold might want to try a gold peplum bustier instead. Add large gold earrings and a gold cuff to complete the look. For shoes, consider these pumps from Christian Louboutin again or boots of any height. More important than any fashion tip is for each woman to feel comfortable in the clothing she wears. 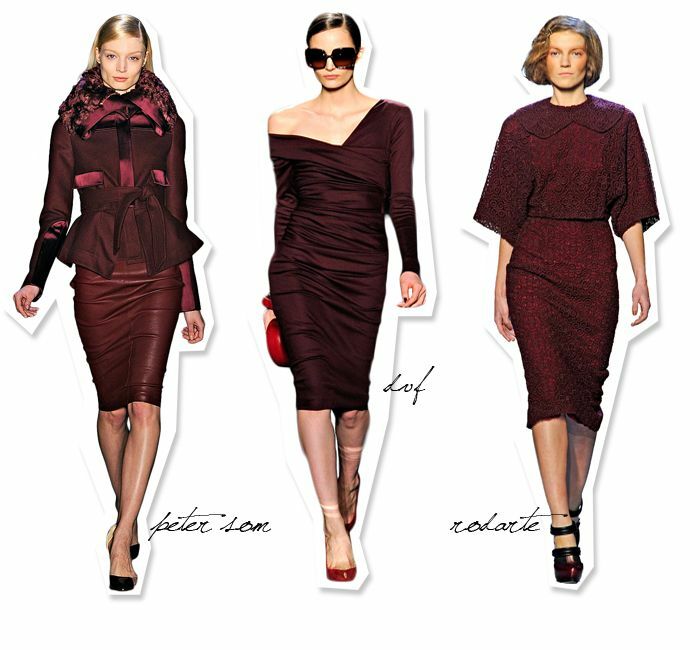 Wrapped luxuriously in the bold and rich colors of the season, every woman can step out in confidence. Now is the time to start turning heads, wherever your holiday plans take you. Text by Anya Sarre for poisepolish. I looove burgundy in everything! !